When you’re battling distracted driving charges in Statesville, NC, you need the very best in legal representation. Many states and municipalities have in recent years added distracted driving charges to the list of punishable offenses for drivers who are engaged in any activity that can reduce or impair the driver’s ability to safely and effectively operate a motor vehicle. In North Carolina and many other states, it is illegal to text while driving, and drivers under the age of 18 are prohibited from using cell phones for any purpose while behind the wheel. There have been a wide variety of measures enacted at the state level to curb distracted driving, and many lives have been saved as a result. When you’re battling distracted driving charges, you need the very best in legal representation. You need an attorney who understands the precise law you have been accused of breaking, the various avenues of legal recourse available to you, and how to best succeed in your challenge to the charges. Most traffic tickets can be handled in one of two ways: 1) admit guilt, pay the fine, and be on your way (perhaps with points on your license in certain areas), or 2) contest the charge, which will likely result in a court date. The role of an attorney or lawyer to defend you can help convince those involved that the charges should be mitigated or dismissed outright. 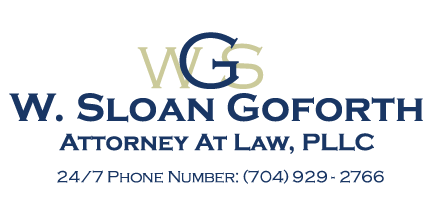 In or around Statesville, NC, W. Sloan Goforth, Attorney at Law has years of experience helping clients to contest and win against distracted driving charges. Don’t let these concerns distract you from your day to day life, and let a proven legal mind and educator help you preserve your innocence and your good name. At the office of W. Sloan Goforth, Attorney at Law, we can help with legal cases regarding distracted driving charges for residents of Statesville, Troutman, Taylorsville, Mocksville, Mooresville, Hickory, Iredell County, Alexander County, and Davie County, North Carolina.